This is our first spring with a house and the first time I’ve really thought about refreshing a room for a season. This past winter was also the first time I purchased winter-specific bedding as it was the first time in 7 years that our heating costs weren’t rolled in with our rent. Although we had the privilege of not paying for our heat, we also couldn’t control it and thus lived in a constant tropical state. 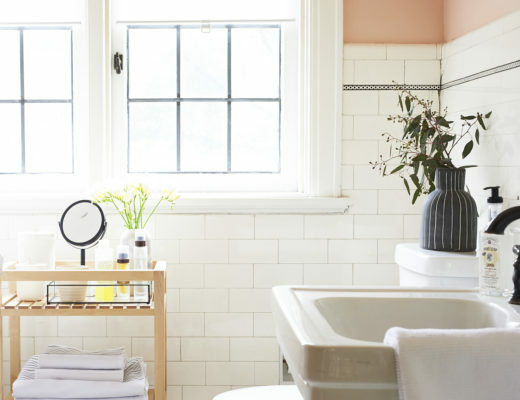 The thought that spring would ever really be here hadn’t occurred to me until the Leesa Mattress folks asked me to write about spring cleaning. 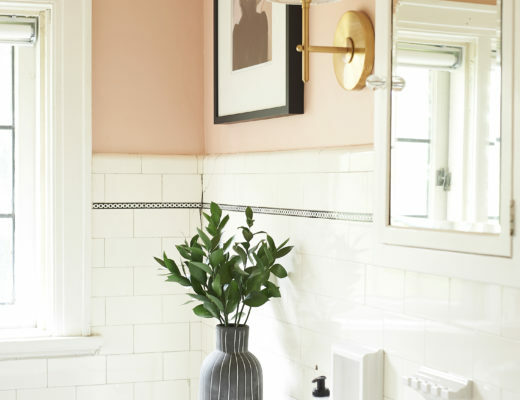 So, I set about figuring out what it means to clean and refresh for spring and it ended up being a big, satisfying mood booster. Our down duvet and flannel duvet cover served us well this winter – our old house has drafty windows but I wouldn’t trade them for anything. Right now, in Pittsburgh, the weather is really thinking about warming up and I think we’re finally through the weird in-between season where it will be 70 degrees one day and drop to 20 degrees the next. I swapped out our heavy down duvet for a lighter down alternative version that will work well for us all the way through summer. I put away the flannel duvet cover and replaced it with a fresh white duvet with gray stitch details. There will be many chilly nights between now and summer so I added a throw for some extra warmth, color and texture. The sheets are a blush pink color with stripes and dashes which is about as much color as I can handle in bedding. Can you tell I have a thing for dash prints? To help diffuse the bright spring and summer sun, we added some IKEA SKOGSKLOVER rolling shades that also add privacy. We’re working on adding these to all the windows in our house but for now, they’re just on the front and back windows. 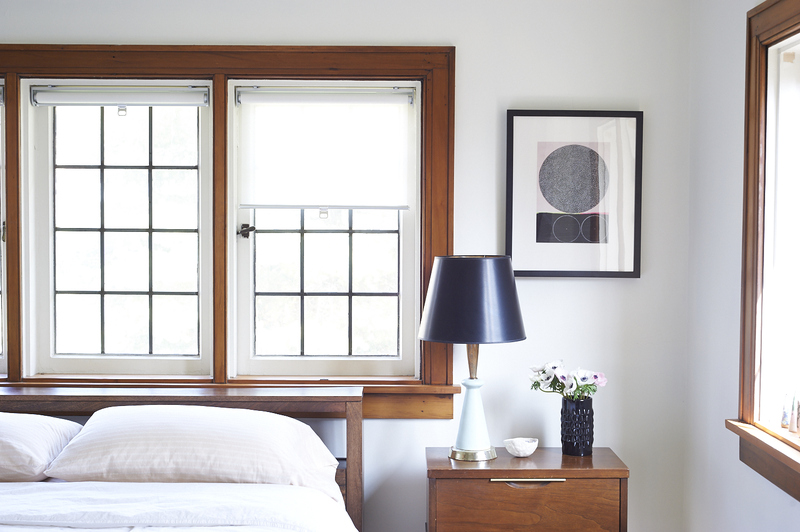 The IKEA shades are the perfect fit for our windows and look much more expensive than they are at about $20 each. They retract slowly as if motorized with just a tiny tug. I’m so excited about the new, cheerier cut flowers that start showing up as spring rolls in. 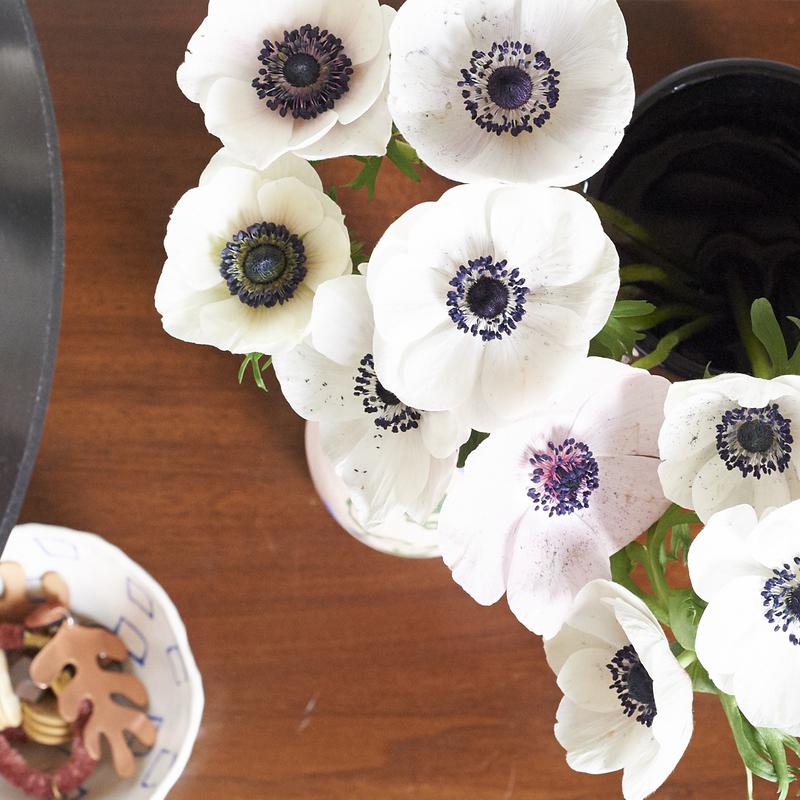 These delicate anemones are one of my favorite flowers. Dust your walls and ceilings, get those cob webs hiding in the corners and on the ceilings. I like to use a Swiffer duster wipe on a floor wand. Give your rugs that extra vacuum, maybe even vacuum underneath them for good measure. 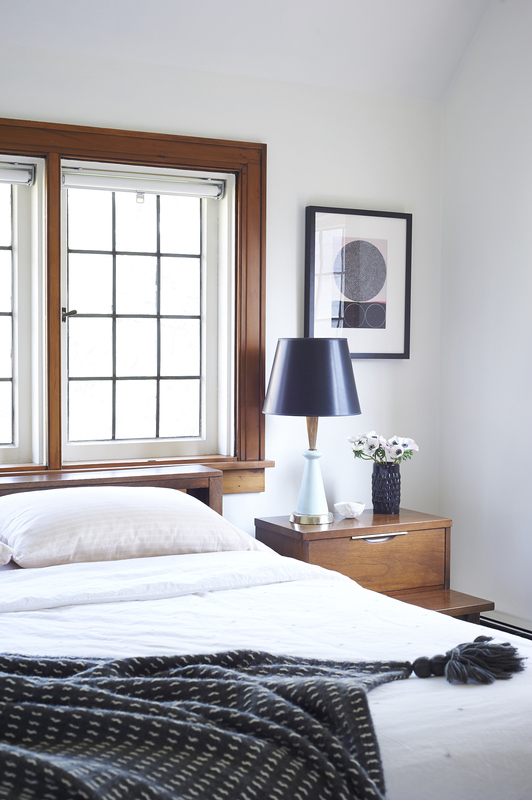 Switch out winter linens for lighter ones. Textiles lighter in visual weight and actual weight will freshen your space and keep you comfy. 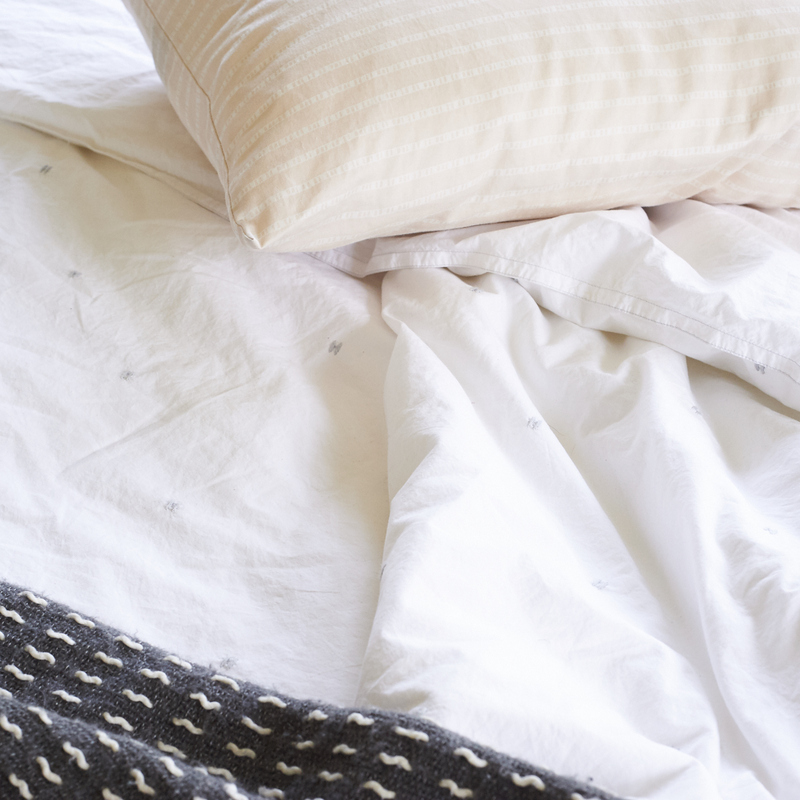 Drape a light blanket on your bed for chillier nights. Swap out winter candles for cut flowers and greenery. Take this opportunity to rotate or flip your mattress, because when else will you remember? The idea for this post came from the folk at Leesa Mattress but it is not a sponsored post. All captured spider webs, dusted dust, loads of laundry and opinions are mine.